Made of solid vinyl these covers are considered safety covers as they can hold a lot of weight. If there are small children at home or the pool is not fenced in these covers are recommended. 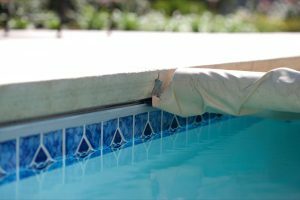 The cover is housed in a flush cover box built into the pool deck and is easily operated by a switch. Energy savings with this cover because it help retain water loss due to evaporation and prevents chemical loss. Although these covers are the most expensive and they require a pump for rain water they have been proven to pay for themselves. 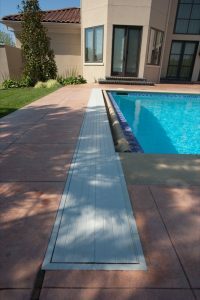 ← Vinyl Pools Coming Soon!